Medtronic has just announced that it's received the first step of approval for its Evera MRI SureScan ICD system. The device is an implantable cardioverter defibrillator, or ICD, intended to be safe for MRI scans. Unlike other ICD's, Medtronic's system is safe to use without any restrictive positioning requirements, meaning that patients with the device will be able to have safe and ready access to a wider range of medical imaging techniques. The system will include the Evera MRI ICD and the Sprint Quattro Secure MRI SureScane DF4 leads. The two must be used together for the patient to be able to receive an MRI. Dr. Michael Gold, the chief of cardiology and Michael E Assey Professor of Medicine at the Medical University of South Carolina was the principal investigator of the Evera MRI Clinical Trial. 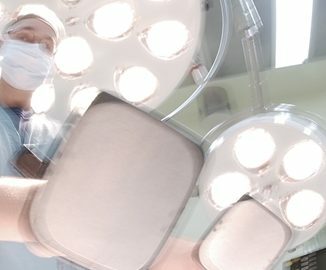 "Patients at risk for sudden cardiac arrest have long relied on ICDs to monitor their hearts, detect dangerous arrhythmias and deliver the life-saving therapy needed to survive," he said, adding that "many of these patients also need access to MRIs, so the approval of an ICD that can be used in an MRI environment is crucial, and can help provide patients with the peace of mind that they are receiving the best care available." Sudden cardiac arrest is a life threatening condition where a person's heart stops functioning without warning. Unless treated within minutes with an electric shock, it unsurprisingly leads to death. ICDs, however, can deliver the shock needed to restart a patient's heart as soon as their sensors notice the event. Before Medtronic developed its new sensor, however, these devices posed a lethal risk for patients requiring MRI scanning. The FDA approved the device based on safety and efficacy data provided by the Evera MRI Clinical Trial, which enrolled 275 patients at 42 centers worldwide. Because of the current trends of an aging population and increasing levels of obesity, there is a spike in demand for devices that can reduce the burden and cost of heart failure (HF). According to the report Forecasting the Impact of Heart Failure in the United States published by the American Heart Association, "The estimated prevalence and cost of care for HF will increase markedly because of aging of the population. Strategies to prevent HF and improve the efficiency of care are needed." The report estimated that by 2030, the projected cost of treating patients with HF will be three times higher than 2013 levels. Through our partnership with the Methodist DeBakey Heart & Vascular Center (MDHVC), Medical Metrics has helped develop new methods of cardiac imaging that have become the standard for modern clinical trials for cardiac devices. The MDHCV clinical trial team includes vascular and cardiac surgeons, cardiologists, and electrophysiologists who provide imaging protocol consultation and independent image review for clinical trials. With multiple imaging modalities, our resources and recognized though leaders have made MDHVC the ideal location for studies of innovative cardiac devices.